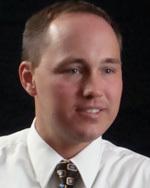 Zach Ahrens has spent much of his career leading and training advertising teams to sell both print and online advertising. Starting at the York News-Times in York, Nebraska, Ahrens served as a graphic artist, retail sales representative and a member of the property’s new media team. Ahrens worked as an advertising director for Lee Enterprises in its Lincoln, Nebraska, suburban business unit, as a publisher with the Omaha World Herald Co. in southwestern Iowa and with small market dailies and weeklies in the Midwest before he moved to Grand Forks in June 2010 to work as ad director. Ahrens has a bachelor’s degree in Speech Communications with a minor in English from York College, York, Nebraska.